The European retail payments landscape is rapidly changing. New technology, changing user demands and new legislation and players are stimulating innovation in payments. These innovations have the potential to produce social benefits and promote financial inclusion. From the other side, the revolution of digitization is also a threat for groups in society, especially for vulnerable groups like elderly or impaired people. Therefore financial, and in particular digital inclusion is becoming more and more important. In this workshop, we will deal with all these developments. Full financial inclusion is a situation in which nearly everyone has access to affordable financial services. It is typically measured by three factors: (i) Access to financial services, (ii) Use of financial services, and (iii) The quality of products and the provision of services. After this workshop, participants will have a good overview of payment and financial market infrastructures, technology innovations in financial markets and connected challenges. Moreover, participants will be given the tools to set up a strategy on financial inclusion for their country and institutions. The workshop is designed to follow an interactive approach, with a combination of presentations, discussions and work-in-groups case studies, which requires an active participation. The workshop is designed for staff at central banks, financial departments of ministries of finance, financial supervisory authorities, and other institutions involved in development of financial market infrastructure. We are inviting experts involved in payments and financial market infrastructures, financial and digital inclusion, legal aspects, or financial education. Michiel has been working at DNB since 1988, after he graduated economics at the Erasmus University of Rotterdam and worked at Delft Technological University. Michiel worked as a country economist at the Export Credit and Import Guarantee Department of DNB and was a member of the Paris Club for debt negotiations. In 1995, Michiel joined the Cash and Payment Systems Division of DNB. DNB is a member of the European System of Central Banks. Michiel fulfilled a lot of responsibilities during the introduction of the euro and the millennium changeover. He is one of the architects of DNB for designing and building an assessment framework to promote sound business continuity policy and crisis management. Since 2005, Michiel is secretary of the Dutch National Forum on the Payment System. Michiel is particularly involved in the SEPA standards, innovative payment products & market infrastructures and in financial inclusion. He is participating in the work of the Euro Retail Payments Board. Furthermore he is an expert in technical cooperation activities in the field of payments and securities settlement systems with a range of other countries. 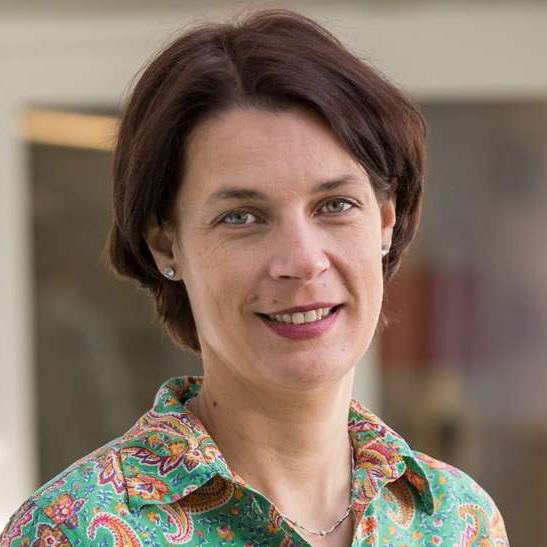 Judithstarted working at the Dutch Central Bank in the Payments Policy Department in 2005. She is now secretary of the Working Group on Accessibility of the National Forum on the Payment System and has also been a secretary of the working group on Efficiency and European Affairs. She is a member of the Payments Policy Working Group of the ECB and was secretary of the ERPB informal working group on Accessibility. Furthermore, she was seconded as a national expert in 2018/2019 at the European Commission, at DG FISMA, also working on retail payments. Judith studied International Financial Economics at the University of Amsterdam. Simon has worked in central banking for the last 21 years. He is a member of various working groups, such as the Eurosystem's Market Infrastructure and Payments Committee (MIPC), he is Chair of the National Stakeholder Groups (NSG), which include AMI-Pay and AMI-SeCo, he took the initiative to set up the National payments council and participates in different working groups of The Bank Association of Slovenia. Simon completed his Master's degree from Faculty of Economics in Ljubljana with Master thesis "Liquidity and mechanisms for optimizing the use of liquidity in payment systems based on gross settlement in real time". Samo has been working at the Bank of Slovenia since 2007. He is responsible for various tasks on the field of central bank function of oversight of payment systems. As a representative of the Bank of Slovenia, Samo Lučev is a member of the Payment and Securities Working Group at the ESCB level and of the European Forum for the Security of Retail Payments (SecuRe Pay). Samo graduated at the Faculty of Economics and Business in Maribor.